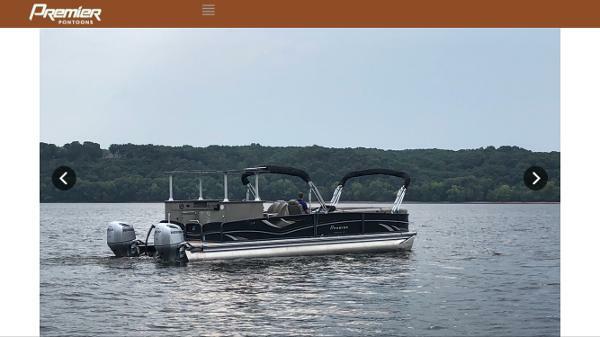 Verkäufer Ugly John's Custom Boats, LLC. 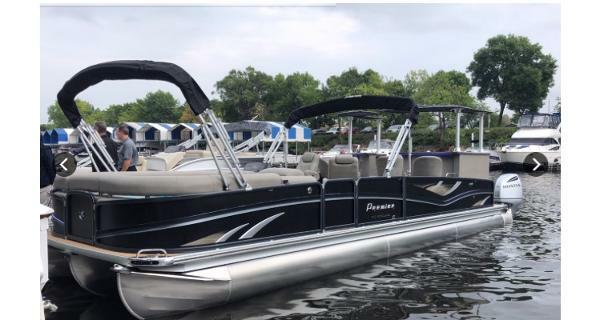 2019 Premier Grand View 260, Standard Features: Tubes: 25” .090, • .125 Nose Cones, PTX 30 Package, • 33 Gallon tank, • Rough Water Nose Cone, • Seastar Hydraulic Steering, • Performance Sheeting, • Lifting Strakes, 16' OC Framing, Rubber Gunnel, Full Skirt (with caps), Cast Docking & Nav. Lights, Mid-ship Eyes, Duro Rails - Large, 7-Star Helm Chair, Prosperity Furniture, Toe Kick Lights RGB, Legacy Wood Tables, Trash Storage, Adjustable Chair Pedestal, Stainless Cup Holders, Paper Towel Holder, 6” Stainless Cleats, Telescoping Ladder, Evolution Bimini, Bimini quick release brackets, Bimini Trailering Kit, Playpen Cover, 6” Stainless Steel Cleats (Aft), 6” Stainless Steel Cleats, Flip Up (Bow), Stainless Steel Bow Rails, Liberty Deluxe Helm, • Beacon II Electronics, • Tilt Steering, • Zenith Wheel, • Stereo – Beacon II w/Remote, • 4 - Rockford Speakers, • 10” Rockford Sub, • 12 Volt Outlet, • Fast Charging USB Outlet, • Courtesy Light – RGB, • Helm Floor Mat, • Refrigerated Cup Holder, • Diamante Wrapped Panels, • Spotter Camera, Changing Room, Legacy Wood Slim Table, Speaker Caddy With Fast Charging USB, Elevated Aft Deck Area, • Under deck storage, • Fan tail Steps, • Snap-in Seagrass Step Treads, • Hatch Cover W/Lock, 11’ Evolution Bimini Top, Imperial Galley, • Corian Counter Top, • Paper Towel Holder, • Refrigerator, • Battery Charger, Bombay Bar, • Corian Counter Top, • Paper Towel Holder and Insulated Cooler w/ RGB light.Additional Features: PRE RIG - Suzuki AP precision control w/digital gauges, Suzuki DF300APX2 300HP, Seagrass -Caspian, 36' PTX upgrade from 30' PTX, 80 gal Fuel Tank upg (PTX 36'), Power Assist system added to Seastar hyd steering (Recommended for 200+ HP (Std w/twin engine pre-rigs), Large Tow Bar, Upgrade to JL Audio w/sub, amp, & 6spkrs. 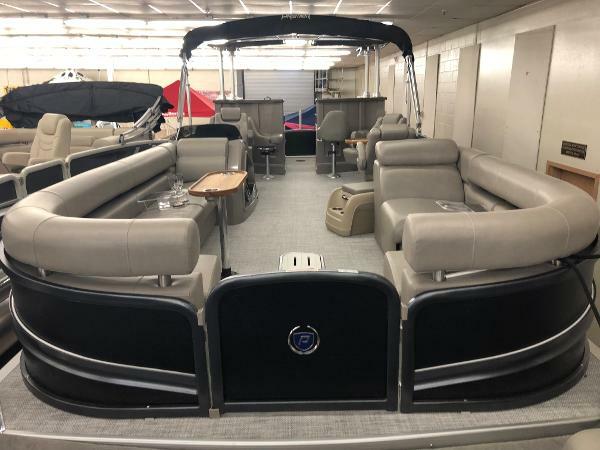 and RGB Lighting, Acrylic Mobile Armrest -Qty 2, Dual battery switch, Ladder upgrade Telescoping to Ricochet, Light - Underwater LED Lights (set), Duro Rail Rope Lights, , Bow Filler Cushion - Heritage , Flip Port Aft Couch and Flip Up Stainless Steel Cleats.